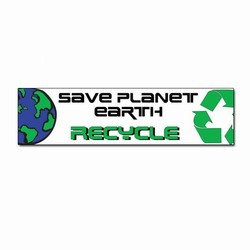 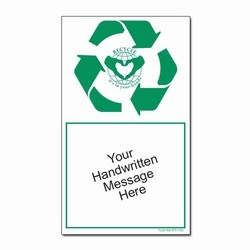 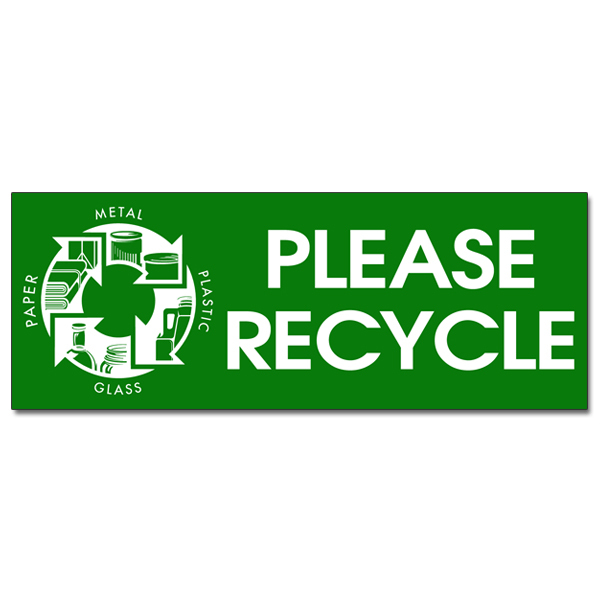 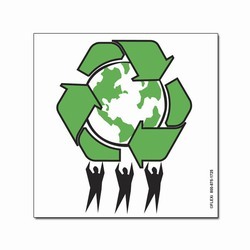 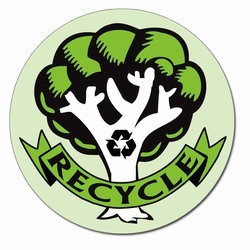 4" x 2" 1 Color Green Imprint on White Sticky Back Vinyl Recycling Decal. 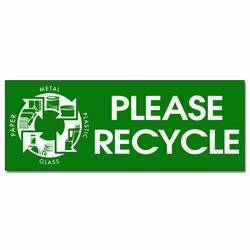 "Please Recycle. 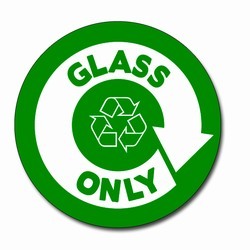 Metal, Plastic, Glass, Paper".